The Lincoln Stars will play the first and last place teams in their division this weekend when they face off against the Omaha Lancers and the Sioux Falls Stampede. On Friday night, the Stars will battle the Lancers at the Civic Auditorium in Omaha.. Saturday evening, the Stars will take on the Stampede at the IceBox in Lincoln. The puck drops at 7:05pm CST for both games. If you can't make to the games this weekend in Omaha and Lincoln, you can follow the boxscores online via Pointstreak, listen to Stars radio announcer Mike Melbye on KLMS 1480 AM, or watch the games on FASTHockey for a fee. Lincoln enters this weekend with a record of 22-13-2 (46 points), and are in second place in the USHL Western Conference. Click here to see the current USHL standings. First up for the Stars this weekend will be their rival to the north, the Omaha Lancers (24-12-3, 51 points, first place in the USHL Western Conference). The Lancers are 4-1-0 against the Stars this season and have won four in a row against Lincoln. The last time the Stars were able to best the Lancers this season was way back on November 11th, 2011 when Lincoln beat Omaha at the IceBox by a score of 2-1. Everyone is well aware of the last time these two teams faced one another. Click here if you need to be reminded. The Lancers won by a score of 3-2 in Omaha, but the game was marred by a line brawl and a goalie fight beatdown between Stars goaltender Jackson Teichroeb and Omaha goaltender Alex Lyon. The two teams combined for 39 penalties and 194 penalty minutes. It was the definition of a "gongshow." According to the Pointstreak transactions page, both goaltenders (Teichroeb, Lyon) were suspended for one game, which they have already served. However, according to this link, the two were suspended for two games, not one. 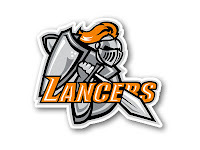 Here's the quote: "Lyon and Lincoln goaltender Jackson Teichroeb will be unavailable for Friday's game with both players set to serve the second game of their two-game suspension stemming from the last head-to-head meeting between the Lancers and Stars back on January 21st." At this point, I'm not sure what to believe. Pointstreak says one thing, the link above says something else. We'll find out soon enough which is true. On Saturday, the Stars will return to the rowdy confines of the IceBox to host the Sioux Falls Stampede (12-21-3, 27 points, last place in the USHL Western Conference). This will be the seventh time these two teams will face each other in 2011-12. The Stars are 5-1-0 in the six games against the Stampede this season, although four of those six contests have been decided by only one goal. Sioux Falls has not been able to beat Lincoln at the IceBox in three opportunities this season. The Stampede decided to shake up their roster a bit this past week by making a trade with the Waterloo Blackhawks. Basically, each team traded goaltenders with the last name of "Williams." 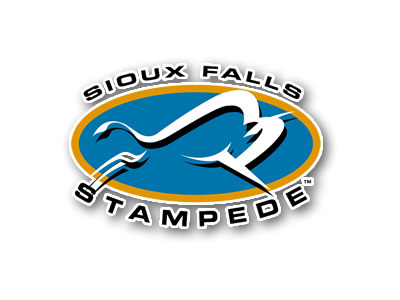 Stephon Williams of Sioux Falls was traded to Waterloo, and Jay Williams of the Blackhawks was sent to the Stampede. I'm not sure which Stampede goaltender will start Saturday night at the IceBox. Jay Williams is 1-0-2 against the Stars this season, but that came when he was with Waterloo. That one win came at the IceBox back on 10/7/11. 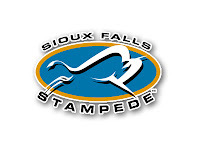 Sioux Falls goaltender Charlie Lindgren is 0-1 against Lincoln, and has not started a game at the IceBox. The numbers seem to favor Stampede head coach Kevin "Borat" Hartzell starting Jay Williams over Lindgren, but we'll see. Before I sign off for the night, I wanted to quickly mention that the USHL announced today that the number of regular season games each team will play will increase by four next season. Starting in 2012-13, each USHL team will play 64 regular season games instead of 60. Click here to read more. That means two more home games at the IceBox. Personally, I think the schedule is already too long at 60 games. I'd rather see the league remove a few games from the regular season schedule, and add more in the playoffs. Actually give first round playoff teams an opportunity to host a game or two in their own barn. Anyway, that's just my opinion. I'd love to hear your thoughts on the matter. i agree Yeti, i think 60 games is plenty. as a fan, i never get bored with going to the games, but you can tell the quality of play many times will go down near the end of the season and the playoffs. 6+ months is a long time for the players, and they're ready to go home by April. sometimes with the playoffs, the season even goes into May. that's plenty long already.. i agree with you Yeti, i'd also like to see them wrap up the end of the regular season by say middle to end of March, and start the playoffs sooner and come up with a format that allows more games to be played. unless there is some very good reason for adding games to the season, i kind of disagree with that move... though it is only 4 games, so nothing to get too worked up over.